Built with a super-soft, stretchy and highly durable Merino wool blend, and outfitted with the support and comfort you need for both daily life and weekend adventures, the Men's Anatomica Briefs are the underwear you've been searching for. 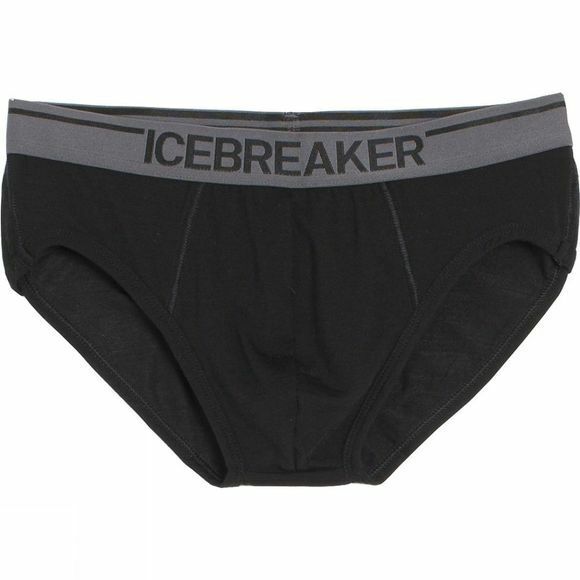 With an updated fit that makes them even more comfortable, the Anatomica Briefs also features Icebreaker's corespun fabric, which uses nylon fibers wrapped in Merino wool for increased durability and strength that retains next-to-skin softness. Flatlock seams eliminate chafing when you're on the move, and the contoured pouch offers additional support.